If you’re not getting out hiking this month in New England, you’re missing out! Between the weather, foliage, and lack of bugs, any trail in this northeastern corner is sure to give you a great day out. But, we couldn’t pick just one, so we asked our staff to help choose the best New England hikes. 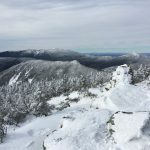 For some, summiting Maine’s Mt. 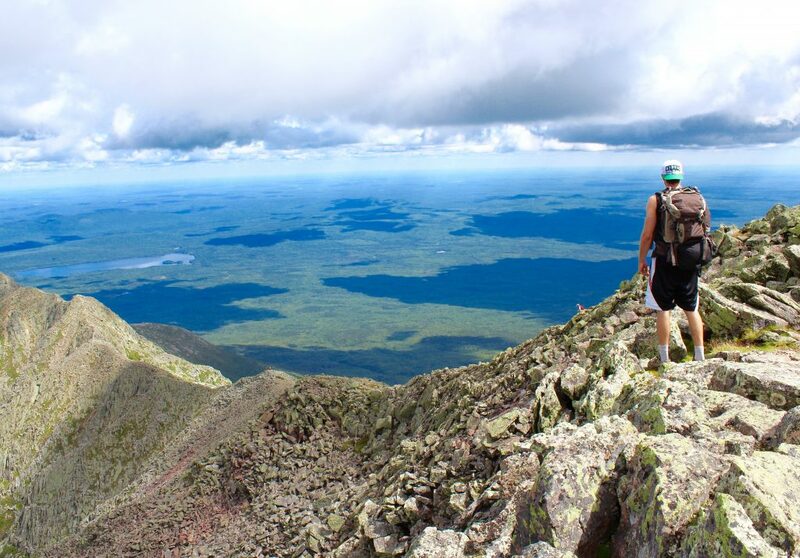 Katahdin marks the culmination of an epic journey along the Appalachian Trail, while for many others, it’s the reward after a strenuous day hike. 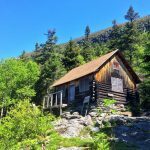 Regardless of why you are hiking Katahdin, the mountain’s one feature that will almost certainly leave you in awe is the Knife Edge Trail. This 1.1-mile stretch traverses an exposed ridge with plummeting drops on both sides. 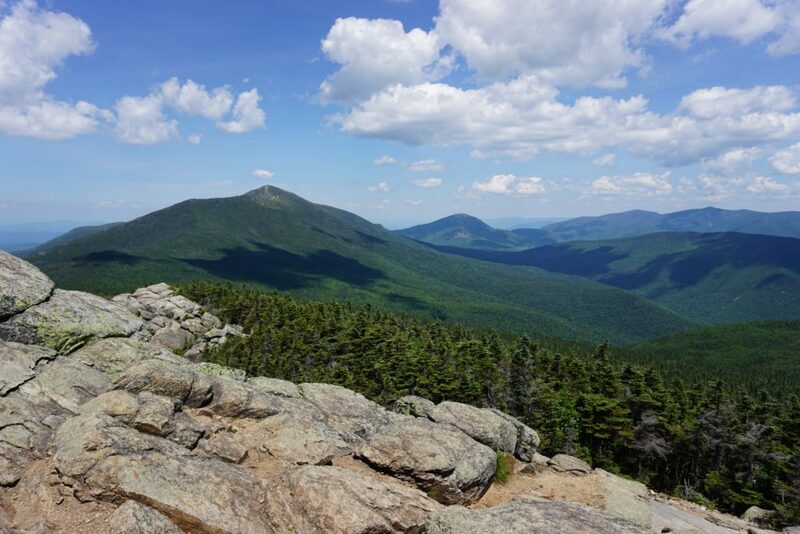 While the trail can be deadly during inclement weather, on a clear day, it provides the best views of the rest of the mountain and some of the most rugged landscapes in all of New England. 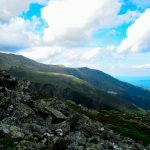 With only four miles to the summit, making it the easiest of the Franconia Ridge hikes, 4,459-foot Mount Liberty offers incredible 360-degree views of the surrounding White Mountains. This mountain is accessible and extraordinary in all four seasons of the year. Ascend and descend the Liberty Springs Trail, and make sure you don’t forget your camera! Whether you’re thru-hiking or day hiking, Mount Liberty is the best bang for your buck. Looking for a great hike the whole family can enjoy? Look no further than Bear Mountain in Salisbury. While this mountain stands as the tallest in Connecticut, at 2,316 feet, don’t be intimidated. 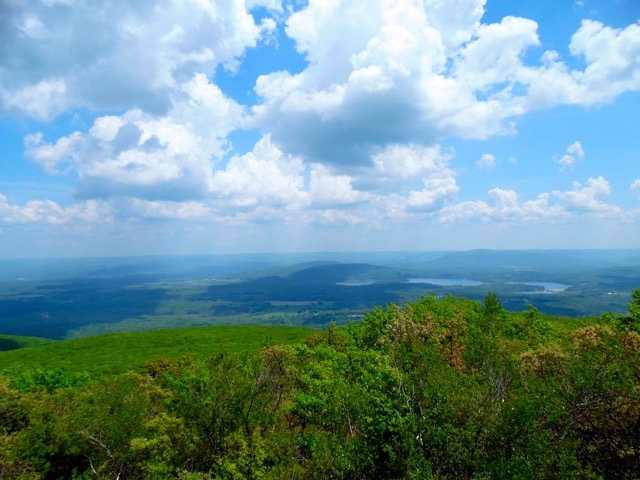 Take the Undermountain Trail off Route 41 and proceed gradually to the summit for three miles. The slower ascent allows you to chat with friends and family while enjoying the breathtaking views of the Berkshires in Connecticut and Massachusetts. 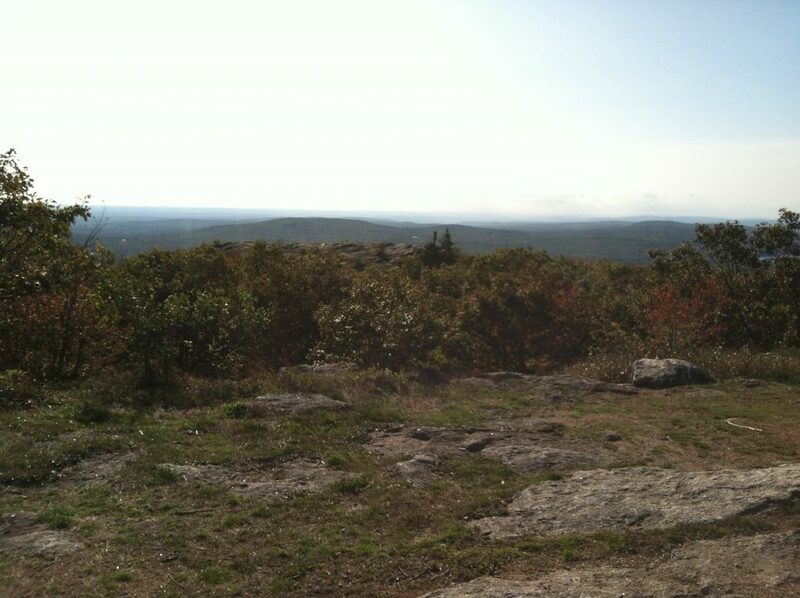 The remains of an old stone tower at the summit let you scramble to the top to capture that “perfect” picture, or simply sit and enjoy lunch while basking in the accomplishment of climbing Connecticut’s highest peak. John Muir famously said, “The mountains are calling, and I must go,” but what happens when the mountains are calling, and you have other commitments? That’s where the convenience of Mount Wachusett comes in. 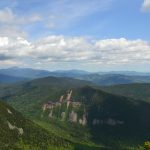 The mountain is less than half an hour from Worcester, less than an hour from Boston, and under an hour and a half from Providence and Hartford, making it the go-to for anyone seeking an adventure without spending an entire day in the car. 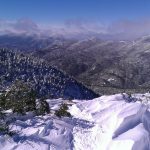 With an incredibly diverse array of trails, the mountain offers routes for everyone, as hikers can choose steep and direct ascents like the Pine Hill Trail or longer, more gradual climbs like Harrington. No matter which you choose, those who summit Mount Wachusett will be rewarded with great views of Mount Monadnock and Mount Watatic, and on clear days, the Boston skyline is visible, as well. There aren’t too many places in the country’s second-most densely populated state where you can really feel like you’re away from it, but the North-South Trail in the Arcadia Management Area might be one of them. 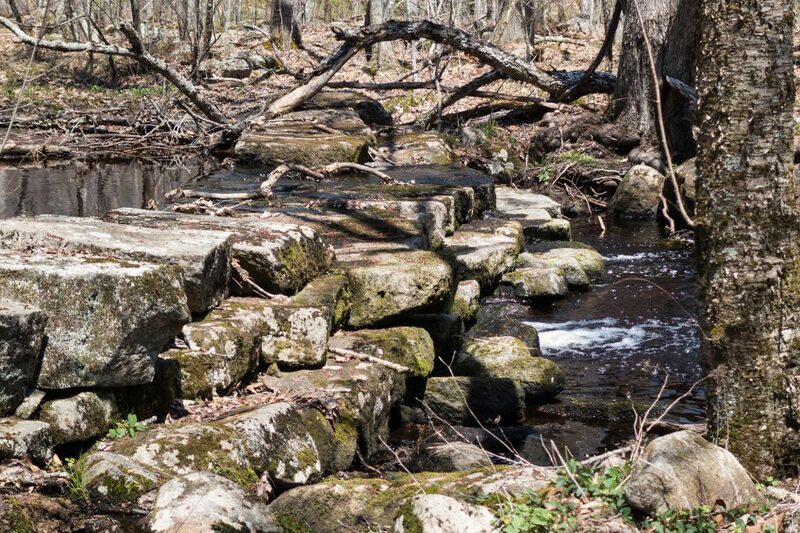 The N-S Trail runs continuously from the Massachusetts border in the north to the ocean in the south, but the 13-mile thru-hike where it bisects Arcadia, with its mixture of quiet forests, old farmland, and 10-foot Stepstone Falls, is a highlight. Head south from the Hazard Road Parking Area to Buttonwood Road, and then, spend a night at the park’s only permitted backcountry campsite, located by Stepstone Falls. 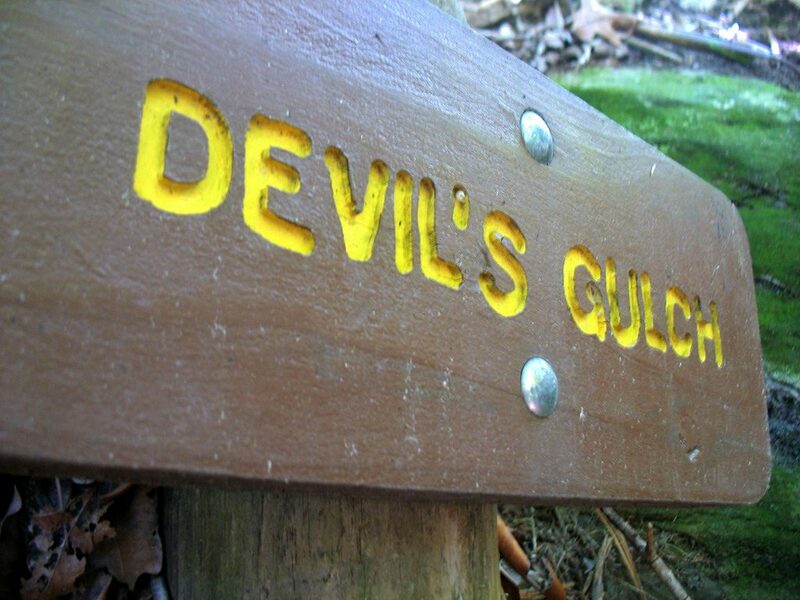 Go down, rather than up, to hike one of the hardest sections of the state-splitting Long Trail. 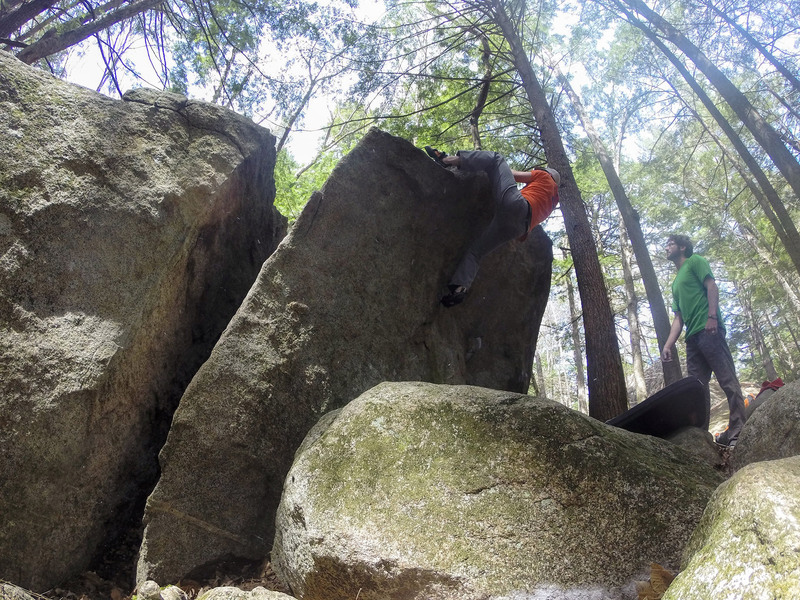 The five-mile loop will take you over a mountain and then down deep, so you can scramble over logs, boulders, and through a small cave, all surrounded by 175-foot walls. Watch for moose amongst the ponds and meadows on the other side before looping back.